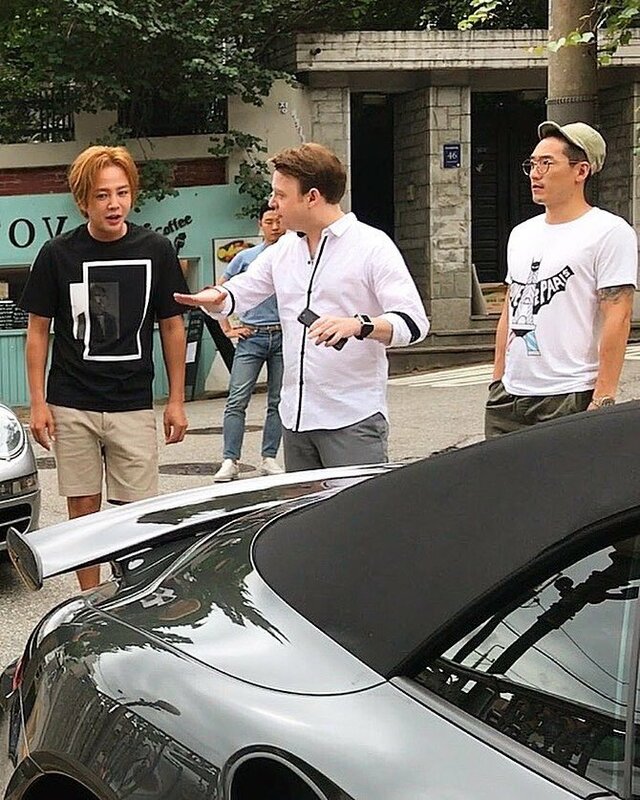 This last summer JKS took possession of his latest vehicle: a Porsche 911 that has been modified to a 991. The upgrade, performed by DMCTuning, remodeled the exterior of the vehicle to make it more aerodynamic; enhanced the turbo exhaust system for speed and efficiency; added a slightly wider wheel base for faster cornering; and installed the latest in high performance braking systems. These were all parts of the Porsche 991 package from TOPCAR to which DMC acts as one of its Asian agents and distributors. DMC just posted a video to their site of JKS taking possession of the Porsche 991. To say he was satisfied with the results of the upgrade is an understatement. I suspect there are currently three loves in Keun Suk's life, besides his family: acting, music, and sports cars, in that order.